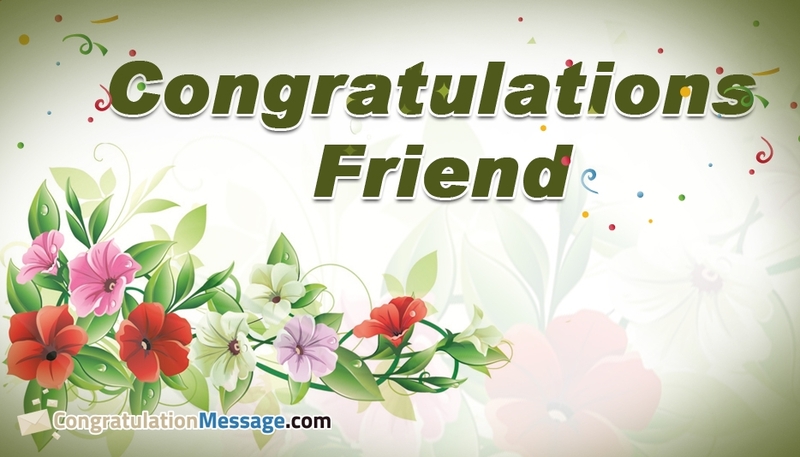 Congratulate your dear friend for his achievements and success through this "Congratulations Friend" picture and motivate him/her to achieve more. Congratulating is an act of recognizing the person's hard work and efforts. Congratulations from our dear friends make us happy and feel more confident.